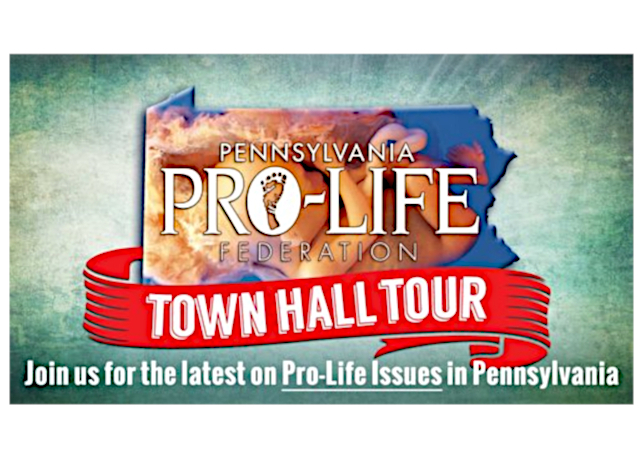 The annual Pro-Life Town Hall Tour is coming to Gettysburg. 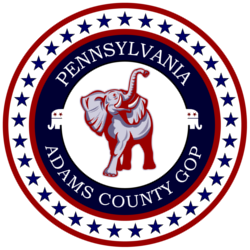 The general public is invited to this event which will take place on Wednesday, April 24 at The Pike Restaurant, 985 Baltimore Pike, Gettysburg from 11:30 am to 1:30 pm. Reservations are required and must be made by noon on April 18, by contacting Ruth Santino, 717-677-6833, ruthsantino@yahoo.com or Suzanne Landis, 717-677-8362, landissg77@gmail.com. Each participant will order their lunch and pay the restaurant there. Participants will individually order lunch from the menu and will be responsible for payment to the restaurant.